No doubt, if you are considering buying property in France, you will at some point have heard the term, "leaseback". You may even have a hazy idea of what it means, but to make a decision on whether or not this type of purchase is for you, you need to understand firstly what a leaseback scheme entails, and secondly how to make a French leaseback purchase a good investment rather than a millstone around your neck. French leaseback property or time-share in France? If you are looking to make a real investment in France as opposed to buying yourself cheap holidays, then it's leaseback every time. In time-share, you only ever own a percentage of the property, a right to use. With leaseback property, however, you own the freehold, so as a long term investment a leaseback property can be an excellent pension scheme! 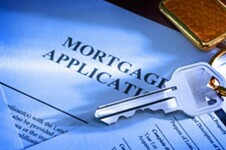 One thing to be aware of, though, is that with a leaseback agreement, although you are technically entitled to sell the property or cancel the leaseback agreement at any time after the end of the initial nine year period, you may have to pay compensation to the letting agent, as he or she owns the right to choose whether or not to continue the agreement at this point. What type of property is a leaseback property in France? Typically, a French property that is sold through a leaseback scheme will be new, or even not yet built and bought off plan. It will be of a high standard of construction, furnished to a high standard, frequently in a complex with facilities such as gyms, swimming pools and tennis courts. Can I buy any property on a leaseback agreement, anywhere in France? No... leaseback property relies on a high take up of holiday lettings, therefore you won't find a leaseback option on a little cottage in the middle of nowhere, or on a cheap and cheerful town house in an unremarkable town. The scheme actually originated in a government drive to boost tourism, so this is the driving force behind leaseback property. If you want to know what type of property is likely to be available as a leaseback property, look at the holiday brochures... if it's a property type that is popular for holidays then it could well be a leaseback proposition! So where are the best locations for leaseback property in France? And specifically where in the French Alps? Seek out property in the best known and well loved areas like Tignes (the closet thing to all round skiing in France) or Val d'Isère (Val d'Isère Property Guide). Megève (Megève Property Guide) is another good bet, as it retains its popularity year after year. Then there is Les Arcs (Les Arcs Property Guide), Chamonix (Chamonix Property Guide), and any of the other major resorts where the leaseback concept is big news. The Alps are perfectly suited to leaseback schemes, so if this is your dream region don't miss out. 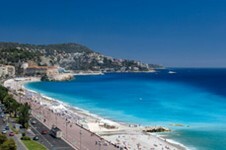 And specifically where in the French Riviera? The best places in the French Riviera? Anywhere really, it's a small area and everywhere is desirable. It's hard to make a bad call here. You can't go wrong with Nice (Nice Property Guide) though...or Cannes (Cannes Property Guide). Everybody wants a piece of Paris (Paris Property Guide), few can afford luxury property in the best areas. Here you can have your cake and eat it, as long as you are prepared to accept the terms of a leaseback property, and to raise the finance in the first place. Paris is so popular with tourists from all over the world, not to mention the French, that you simply can't lose as long as you choose a good area. Property offered for leaseback sale is usually carefully researched and well sited anyway, so you should be backing a winner with this one! Don't forget, you can use leaseback to finance a business property purchase too, and locations close to the capital with good road and rail links are ideal for this (French Connections -Travel to Paris and North-East France). An apartment block, if you have the necessary cash, within reach of Paris would make a fantastic investment. And specifically where in Paris? Areas to consider include anywhere in the suburbs or the commercial districts close enough to Paris for daily travel. If you want to be within the city limits, then try the 13th arrondissement, a residential and commercial area which is really up and coming... or consider the 10th arrondissement, Enclos-St-Laurent, which has excellent transport connections provided by Gard du Nord and Gare de l'Est and is another area being regenerated. True Paris aficionados may prefer to be right in the heart of Parisian Bohemian life, in the 18th arrondissement (Paris Butte-Montmartre (arrondissement 18) Property Guide), where there are currently a few rare chances to purchase a leaseback apartment. Expect these properties to sell quickly though, as such apartments in the heart of these areas of the capital create huge interest. If you are considering a leaseback property then think a little outside the box and consider Corsica. The French paradise island, Corsica is the perfect location for exotic holidays without having to travel far. Lying just off the south coast of France, this Mediterranean jewel of an island makes a fabulous location for leaseback property. If you buy in Corsica, not only should you stand to make a considerable amount of money from the eventual sale of the property, but you will own a very desirable holiday home where you can spend sun blessed holidays for years to come. Who doesn't want a property in Provence (Provence-Alpes-Côte d'Azur Property Guide)? Once you have read Peter Mayle's evocative account of a year lived in rural Provence, you cannot help but want to live this particular dream. The trouble is, a lot of people have read the book, and a lot of people have already bought into this particular dream, pushing prices up and making it difficult for ordinary mortals to own their little piece of this lovely land. The solution could just lie in a leaseback property, enabling you to buy at the necessary prices of the region but to pay off most of the initial costs through the guaranteed rental income that is a standard part of a leaseback agreement. In the Alpes de Haute Provence (Alpes de Haute Provence Property Guide), for example you can purchase leaseback apartments developed from an authentic old Provençal farm, offering a true taste of Provençal country life, à la Monsieur Mayle! And specifically where in the Languedoc? Areas to look in include Carcassonne (Carcassonne Property Guide), the beautiful Cathar city of the Aude (Aude Property Guide), the popular coastal resort of Narbonne (Narbonne Property Guide), the wine and history rich department of the Hérault (Hérault Property Guide), and the sublimely beautiful fishing towns found in the Pyrénées-Orientales (Pyrénées-Orientales Property Guide) down near the Spanish border. The French Pyrénées are another area to watch carefully, if you are looking to invest in an up and coming region. Ski resorts such as Cauterets (Cauterets Property Guide), in the western Pyrénées, are gradually receiving more media exposure and as such are becoming more and more desirable to tourists... and hence to property investors! The Pyrénées in general are gaining in popularity as both tourists and investors look to find alternatives to the tried and tested (but busy and expensive) French Alps. Skiers who try the Pyrénées for a change from the Alpine resorts are often pleasantly surprised, and return delighted by the vastly reduced queues for the lifts, the friendliness and accessibility of the resort staff, and the enthusiasm of the locals who are keen to promote the attractions of their area. This is an interesting area in terms of popularity on the French property scene, and a relative newcomer when it comes to leaseback property developments. The region is steadily becoming more and more sought after, however, and is proving extremely popular with British holiday makers who love the wide open spaces and sheer "Frenchness" of the countryside of the Gers (Gers Property Guide) and the Tarn (Tarn Property Guide) in particular. Then of course, there are the great towns and cities of the region (Midi-Pyrénées Property Guide) that make it even more desirable. What type of leaseback property is available here? The region has some superb traditional grand houses, authentic water mills, farms and other country style residences that lend themselves well to development into leaseback apartments. It's the perfect location if you fancy spending your holidays in the sunny peace and quiet of the southern countryside, and prices are lower than in the better known regions too, so it should prove a wise investment. A bit of surprise contender, this one, but it is always good to be in on a little secret. This region (Picardy Property Guide) is improving massively, and as such is a prime contender for exciting new developments such as leaseback initiatives. Areas to look for include the Somme Bay, where the area is rich in natural beauty and which has an ever growing band of loyal holidaymakers. There is a development here which is deeply unusual, in that it has been created in partnership with the World Wildlife Fund, and is ecologically sound in every way. This is a place to consider if you are environmentally conscientious, want to invest wisely and connect with like minded people too! 10. And the mystery prize goes to... golf developments? And specifically where in France do you look for golf developments? Golf complexes and leaseback property can be found in any part of France, with the Centre Val de Loire (The Central Loire Valley Property Guide) and the Roussillon areas of Languedoc-Roussillon being among the first and best to capitalise on this new trend. As the French are always saying. A French leaseback property then may not suit everyone, but it is certainly worth considering. Take good financial advice, keep an eye on the latest trends and developments in the French property market, and you could be onto a winner. French leaseback property - Top 10 | © 2019 Financial Systems Limited and its licensors. All rights reserved. | No unauthorised use of content permitted.